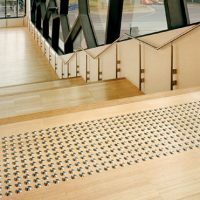 Learn about the importance of a proper wheelchair ramp ratio. A too steep ramp would be difficult for a wheelchair user to climb. Learn the meaning of various types of tactile tiles used in making path for the blind people. These include blister, stripe and lozenge shaped tiles. 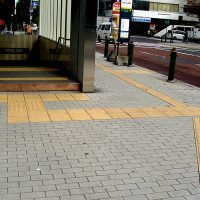 A tactile path is used by partially sighted people for navigational purpose. 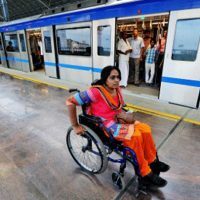 Is Delhi Metro Accessible for the Persons with Disabilities? Have you ever wanted to travel by Delhi Metro and wondered if metro stations are accessible for persons with disabilities? Well, we researched about it. This article lists accessibility features of stations and tips for you to travel by Delhi Metro. Learn what adaptations need to be made to make a house or office accessible for a visually impaired person. High contrast and tactile surfaces are the keys to this objective. 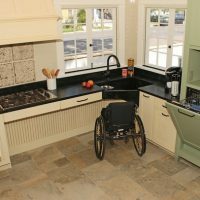 Universal Design features can make homes accessible and disabled friendly. In reality these features are equally useful for everyone but specially for persons with disabilities. Learn about these features and incorporate them in your houses.